We are grateful for the prayers and comforting words from so many friends who share our grief. Our hearts are all heavy. Already we miss him terribly. I find it hard to fathom doing life without him. Below is his obituary, giving the barest outlines of his remarkable life. It doesn’t begin to describe the impact he has had on his kids or the enormity of our loss. 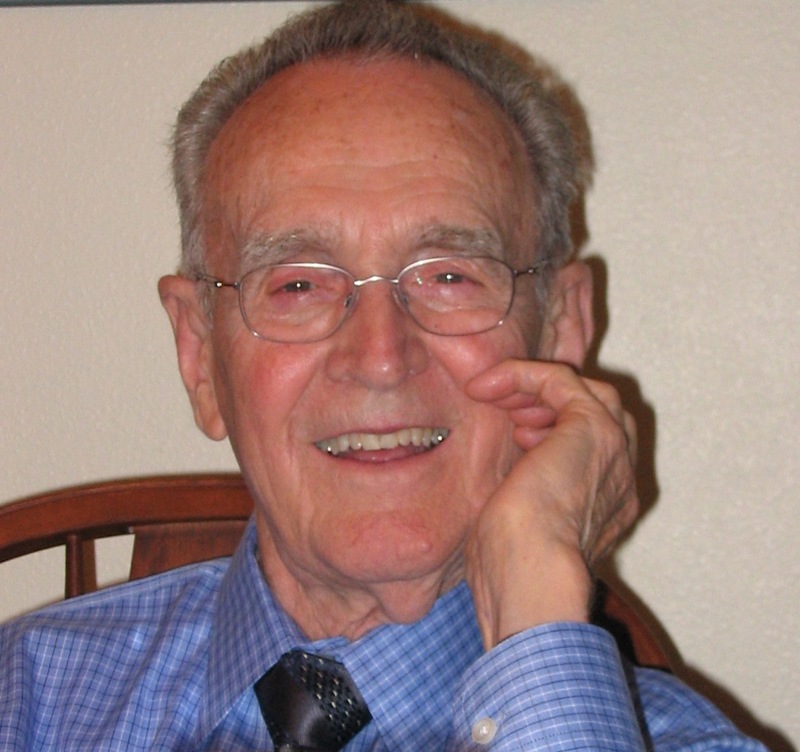 After a full and active life of Christian ministry and leadership that has blessed the lives of countless people in the Portland area and beyond, 92 year old Pastor L Dwight Custis died on Wednesday, July 11, 2012. The Northwest has been home to Dwight for most of his life. Born in Tacoma, Washington on June 21, 1920 to William Granville and Cecil Bertha Custis, Dwight was the first of seven children (5 brothers and one sister). In 1938, Dwight left Tacoma for Waco, Texas where he attended Baylor University and eventually met his soul-mate and the love of his life, Edith Lucille Mouton of Harrisburg, Arkansas. They married in January 1943. Under WWII provisions intended to prepare military chaplains, Dwight was classified as a “wartime irregular” and allowed to complete his masters work at Dallas Theological Seminary before earning his bachelors degree. He completed his B.A. in Philosophy and Psychology at British Columbia University (1951) and was then granted his M.A in Theology from Dallas Theological Seminary for work completed in 1947. He was deeply influenced by the expository preaching and godly mentoring of the seminary’s founder, Dr. Lewis Sperry Chafer. As a young child Dwight felt called to Christian ministry. His call was recognized when at the age of 19, he was ordained as a minister of the Gospel by his home church, Temple Baptist in Tacoma. He preached his first sermon at the age of 18 and his final sermon in January 2012 at the age of 91 after learning he had cancer. Between those two sermons he pastored churches in Beaumont, Texas, Vancouver, British Columbia, and Santa Barbara, California. But by far the longest stretch of his ministry has been in Portland—on the faculty of then Multnomah School of the Bible (now Multnomah University) teaching Bible (1951-59), at Central Bible Church as Assistant Pastor to Dr. John G. Mitchell (1957-68) and then Pastor (1968-81), and finally as Pastor of Trinity Bible Church (1981-2012). For decades he has been a familiar voice on KPDQ radio. His legacy of a deep love for Jesus Christ and a passion for the study and teaching of God’s Word lives on in the lives of those who will miss him most: Lucille, his beloved wife of 69 years, his brother, Bryce H. Custis of Tacoma, Washington, his four children and their spouses—L Dwight Custis Jr. and Nancy of Southlake, Texas, John Marc Custis and Marilyn of Gresham, Carolyn Custis James and Frank of Boxford, Massachusetts, and Gary William Custis and Martha of Tigard, eight grandchildren, and nine great-grandchildren. His funeral is on Thursday, July 19, 1:00 pm at Trinity Bible Church, 14333 N.E. Whitaker Way, Portland, Oregon 97230 with a graveside following at the Lincoln Memorial Park and Funeral Home. In lieu of flowers, the family requests memorial gifts be made in Dwight’s honor to the Trinity Bible Church Future Ministries Fund, P. O. Box 16732, Portland, OR 97792-0732. Carolyn, I am asking God to comfort you and your entire family in this time of sadness and loss. my deepest sympathies in your painful loss; surely heaven rejoices in the homecoming of your saintly father. In that, I pray you find your comfort and hope. So sorry to hear of your loss, Carolyn. He was a great man and you will definitely miss him!